I'm often asked to name one thing that can be done right away to get healthier. 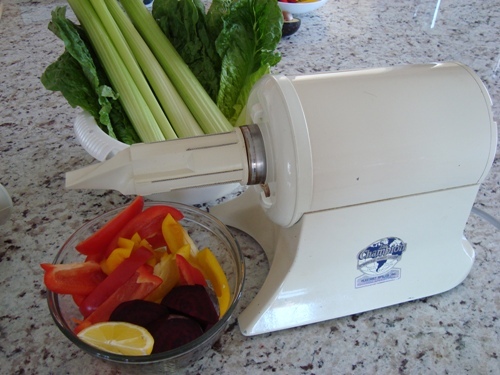 With respect to food choices, the best suggestion I have is to begin drinking freshly pressed vegetable juices. Drinking just one freshly pressed juice each day is a reliable way of infusing your body with a wide variety of vitamins, minerals, and phytonutrients that can protect your cells against premature aging and disease. Almost everyone who has studied nutrition can agree that freshly pressed vegetable juices are highly beneficial to human health. But few people make time to prepare and drink them regularly. Making time to drink vegetable juices isn't a problem for most people. It's the time that is needed to wash fresh vegetables, feed them through a good juicer, and clean the juicer afterward that prevents most people from making fresh juices a regular part of their lives. So the first step to incorporating juicing into your life is to fully understand how good it is for your health and why making time to do it daily is one of the very best investments you can make. 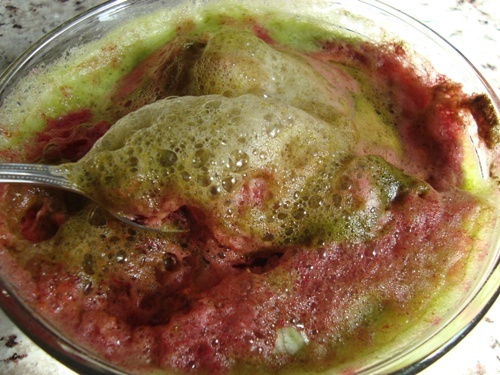 The key to making healthy vegetable juices is to make green vegetables the bulk of every serving. Green vegetables won't spike your blood sugar and insulin level like fruits and sweet vegetables like carrots and red beets will. This is not to say that you can't juice fruits, carrots, and red beets. Fruits and sweet root vegetables can be healthy additions to your drinks, and they'll definitely add sweetness and flavor. You just want to make sure that they never make up more than one third of each glass that you drink. And if you have a problem controlling your blood sugar level, you'll want to use a blood sugar monitor to determine how much is acceptable for you. I've worked with dozens of diabetics over the years who haven't	been able to handle even an ounce of fruit, carrot, or red beet juice in their drinks without negative health consequences, so please consider this point before you select your ingredients for juicing. 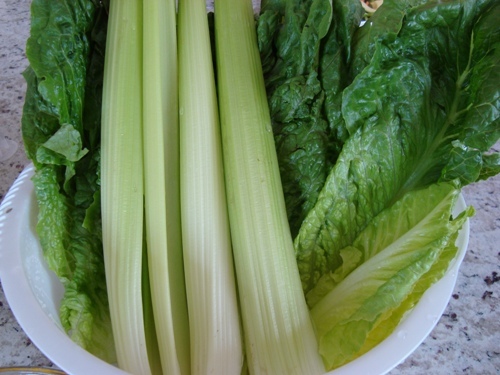 Romaine lettuce is one of the best green vegetables that you can juice. You can also juice other types of green, leafy lettuce like red or green leaf lettuce. For variety, try adding large handfuls of kale, Swiss chard, collard greens, Bok Choy, and any other dark green vegetable that you might steam before eating. For another layer of flavor, you can add a tiny slice of lemon (including the rind for its flavonoids) to your vegetable juices. Some people enjoy adding a clove of raw garlic for even more bite. Be creative and add any vegetables you crave. 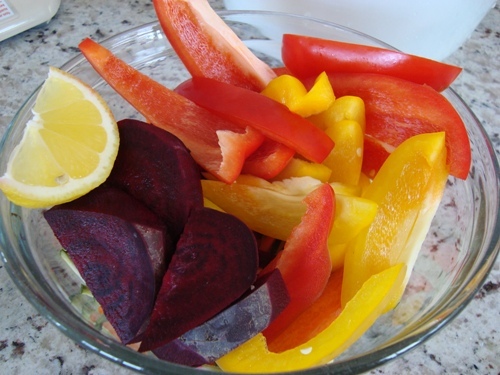 You really can't go wrong as long as you make sure not to use too many carrots, red beets, or fruits. Clearly, organic vegetables are better than non-organic vegetables. But my experiences have led me to believe that the health benefits of drinking juices made with well washed, non-organic vegetables far outweigh not juicing at all. If you are only able to juice non-organic vegetables due to financial or other life circumstances, It's still well worth your while to do so. We like to fill up the kitchen sink with cold water and dunk all of our vegetables for a good five minutes. Before we pull all the vegetables out to sit in a colander to dry off a bit, we shake them around in the cold water to make sure that we've removed any dirt or even bugs that may be hiding in the vegetables, particularly in heads of celery and lettuce. If we know that we need to make a few gallons of vegetable juice over several days, we store washed carrots and ribs of celery in containers full of water in the refrigerator. We store leaves of lettuce spread out and stacked vertically in a container with layers of paper towel in between each layer of lettuce to help absorb excess moisture. Fresh lettuce can last a whole week or more when stored in this fashion. If you're really pressed for time and want to make enough juice to last three to four days, you can make a big batch and store it in an air tight container in the refrigerator, not as good as drinking right after pressing, but still likely better than drinking store bought fruit juices or even vegetable cocktails like V8. Juicing is, for the most part, quite easy to do. 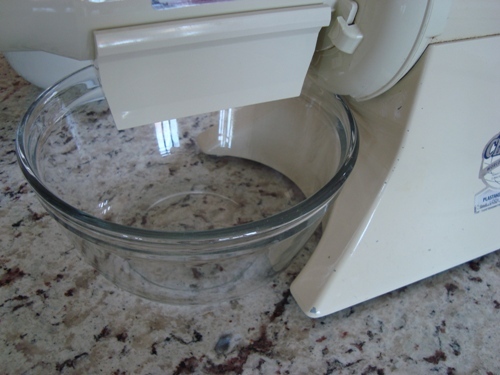 You make sure that your vegetables are small or crunchable enough to fit through the feeding mechanism of your juicer, and you push them in one at a time. completely through the extraction mechanism. With leafy greens, we find that it is best to roll them up into small balls before feeding them through the juicer. This helps prevent a single leaf from getting stuck between the feeding tube of your juicer and the plunger that you use to push the vegetables down. Fruits, like firmer vegetables, can be added near the end, as you are unlikely to have a problem with pushing them down and through the extraction mechanism with the plunger. Now that we have reviewed the fundamentals of how to make healthy vegetable based juices, let's take a look at how to carry out an effective juice fast. Some people would call juice fasting juice dieting, preferring to reserve the word "fasting" for cases of water only fasting. 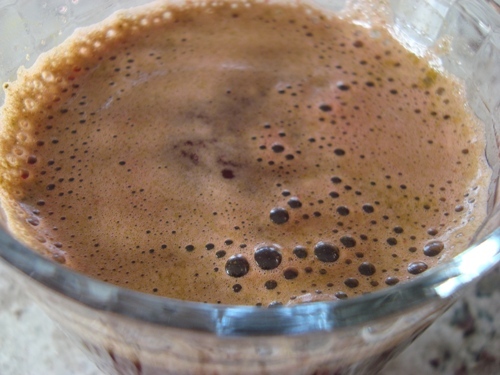 Juice fasting and juice dieting are the same for all practical purposes. Why Consider Doing A Juice Fast? Drinking only freshly pressed vegetable-based juices for a day or two or even a week at a time can give your body much needed rest and time to heal itself of chronic health problems. Because vegetable juices are extremely easy to digest, your body can spend much of its resources on healing damaged or exhausted tissues instead of spending its energy on digesting big, heavy meals. You should only do a juice fast after consulting with your health care provider and confirming that your current health status should allow for a safe and effective juice fast. What's The Difference Between A Juice Fast And A Water Fast? People detoxify and heal more quickly with a water fast than with a juice fast. This is because with a water fast, your digestive passageway and organs are able to rest completely, which allows almost all of your energy to be used for cleansing and repair of damaged tissues. With a juice fast or a cleansing diet of fruits and vegetables, your body must use energy (a minimal amount compared to when you are eating heavier meals) to digest nutrients, leaving less available energy for detoxification and healing. Another significant difference is that more fat tissue is burned during a water fast, as your body must rely exclusively on fat reserves to supply its energy needs after the first one to three days of water fasting. Your body stores the bulk of incoming toxins in your fat reserves. As these reserves are burned for energy during a fast, any stored toxins will be released into your circulation, to be eliminated from your body through channels like your urine and respiratory tract. This mechanism of detoxification also occurs with juice fasting, but at a slower pace. All of this considered, both types of fasting can be helpful to your health. The choice you make should take into consideration your circumstances and goals. Generally, juice fasting allows for more gentle detoxification than water fasting. Juice fasting also allows you to have enough energy to keep up with most of your activities of daily living while you detoxify your tissues, whereas an effective water fast requires almost complete physical rest. Another significant difference is that juice fasting is much easier for most people to stick with. Water fasting is best carried out in a supervised setting while juice fasting is relatively easy to do from your own home. How Long Should You Juice Fast For? It really depends on your health status and goals. If you're looking to give your body a short but beneficial break, it can be helpful to do a juice fast for 48 to 72 hours over a weekend. If you're looking to experience significant detoxification and some big changes with your health, you might consider doing a longer juice fast, somewhere in the ball park of one to two weeks. Although It's optimal for prepare for a juice fast by eating raw fruits and vegetables for 24 hours prior to beginning with juices only, most people do just fine in starting with juices without a pre-fasting routine. You can drink however many juices your appetite calls for throughout the day. I have found that most people do well with an average of five freshly squeezed juices per day. You can use any of the juice recipes that are listed above, or any similar recipes that you create following your tastes and instincts. While I generally recommend that people use fruit based juices early on in the day and turn to vegetable-based juices as the day goes on, there's really no requirement to stick to a specific order of juices. If necessary, It's fine to make all of your juices for the day in the morning and to carry a few with you to work in air tight bottles. 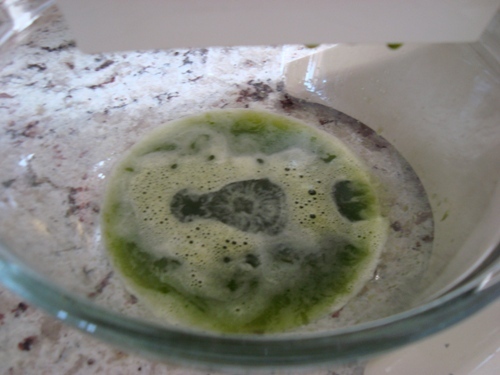 If you take a green food supplement, it would be an added bonus to include a tablespoon of such a product to one of your vegetable based juices. The only caveat is that your green food product should not contain any fillers like lecithin, apple pectin, whole grains, or ground flax seeds. Any green food powder that is used during a juice fast should be composed of 100 percent green vegetables if you are looking for optimal results. I have found that it is best not to take supplements that provide concentrated amounts of high quality fat during a juice fast, such as fish oil, cod liver oil, or flax seed oil. The key guiding principle with juice fasting is to follow your instincts. Your body will tell you how many drinks you need per day and what types of vegetables and fruits you need to incorporate into your juices. Be sure to chew your food until liquid. This is critical to maintaining the positive changes that you will have created in your GI tract with your juice fast. You can have another similar meal about two hours after the first one, and continue to eat small portions of fruits or vegetables for the rest of the day. The second day of eating whole foods can include some steamed vegetables along with raw fruits and vegetables. On the third day, you can add a cooked starch, such as a steamed potato or sweet potato. You can also add a grain dish if your appetite calls for it. Beginning on the fourth day of re-feeding, you can add legumes, such as chickpeas or black beans. Beginning on day five, you can add small portions of clean animal foods, such as organic eggs or wild salmon. Beginning on day six, you can return to eating a well balanced diet that includes any healthy plant and animal foods that your body craves. Over the long term, I've found that it is best for most people to follow a diet that consists of approximately 80 percent plant-based foods and 20 percent animal based foods. But again, I always recommend listening to your own instincts and cravings. Please keep in mind that this re-feeding schedule should take into account the length of your juice fast. If you do a three day juice fast, you probably won't have any problems following this re-feeding schedule. If you fast for more than a week, you may find that you won't want to add cooked foods or animal foods back to your regimen until after you spend a few weeks eating raw fruits and vegetables. One last time, the guiding principle is to follow your instincts. If you don't do a juice fast, you can still experience significant health benefits by including vegetables juices in your daily routine on top of your regular food choices. Enough reading about the benefits of drinking freshly pressed vegetable juices. Give it a go and experience some of the benefits yourself! When you're finished juicing, you'll find a layer of bubbles at the top of your bowl - you can drink these right up with your juice, or if you prefer, you can skim them away with a spoon. This is some serious, life-sustaining stuff, so drink with gratitude and enjoy knowing that you're taking great care of yourself.